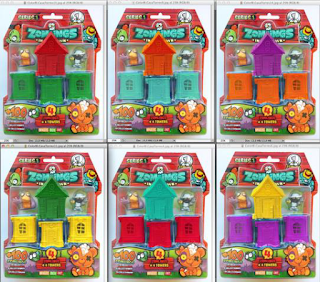 WhatNot Toys is the greatest new toy company to hit planet Earth! Founded by Bob Grey and other toy industry luminaries, WhatNot’s mission is to search the globe to find the best new toys and collectibles and share them with kids of all ages in North America and beyond. 21 adorable kitties to collect! Kitties are flocked and have real blinking eyes! Themed accessory packs unique to each Kitty! 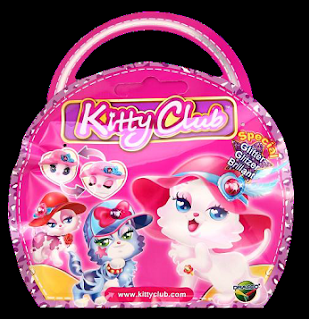 Each pack comes with loads of accessories related to your Kitty’s personality and style! Time to drive around Kitty Heart Lane in your stylish convertible! 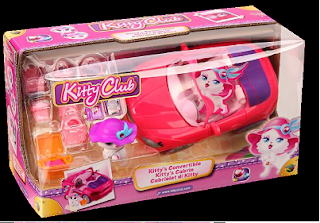 Convertible has working wheels, flocked interior and opening trunk for storing all your Kitty Club accessories. Welcome to the Heart Lane Café – the coolest hangout in Kitty Heart Lane! 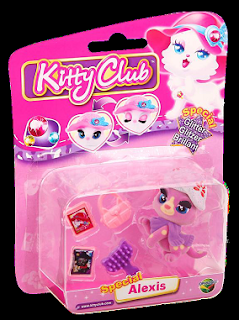 The café is the perfect place for all your Kitty Club figures and comes with loads of cool accessories. 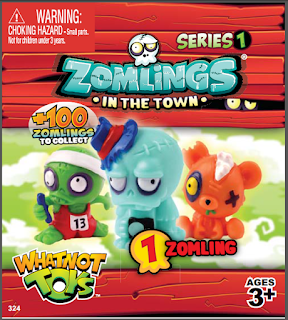 WhatNot Toys Kitty Club and Zomlings make terrific gifts for kids this holiday season! 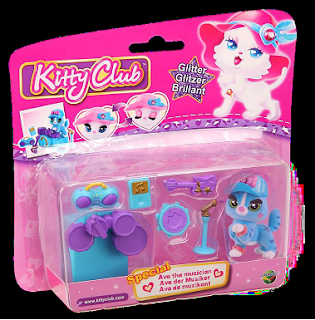 My girls love cats so when they saw WhatNot Toys Kitty Club toys they were beyond thrilled. 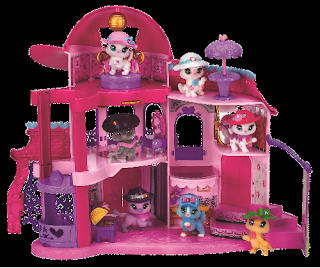 My girls love that each kitty has their own unique style including fashion hats that are interchangeable between characters and that they're's also play sets and and a vehicle for the ultimate Kitty Club fun. 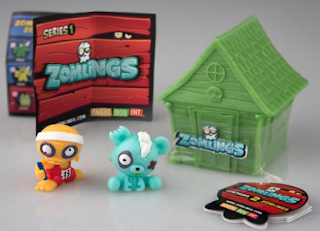 WhatNot Toys Zomlings are also a incredibly fun! With 3 girls in the house and my son only being 18 months we haven't really gotten into toys like this just yet. 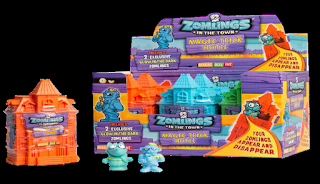 I know my nephews love toys like these so I passed these Zomlings onto them and oh boy were they excited. 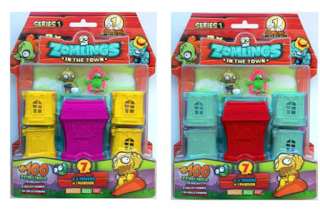 To be honest I think these little Zomlings are pretty adorable. My nephews sat and played with these guys for hours and I was amazed at how well they all played together. 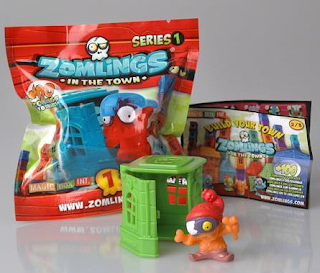 Zomlings are incredibly fun whether you collect them, play with them or both! 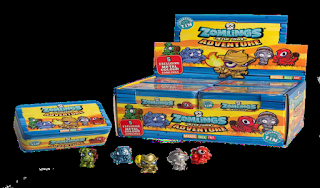 WhatNot Toys Kitty Club and Zomlings are incredibly fun toys for kids and would make terrific gifts this holiday season!